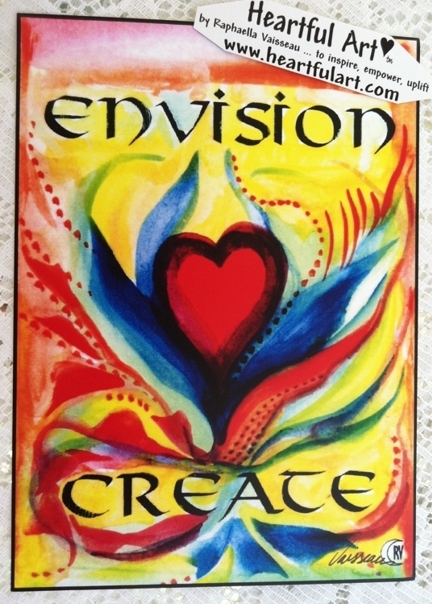 Poster or print of Envision Create by Raphaella Vaisseau to inspire you to believe in your dreams and make them a reality. What you think and feel, you will attract. Attract what you want more of. Think good thoughts. Create more of what you want in your life. Imagine. Envision it. Add emotion. Feel it. Watch what happens. Love it all.